Pictured with Lions Ed Bender & Ken Koetz at the Oct. 23rd Century College Foundation Awards Banquet are the two winners, Hilda Vera and Rahel Weldu, of the 2018-2019 Wildwood Lions Career and Technical Scholarships. Four wagons and a trailer were loaded in 45 minutes; all in conjunction with Punkinmania. 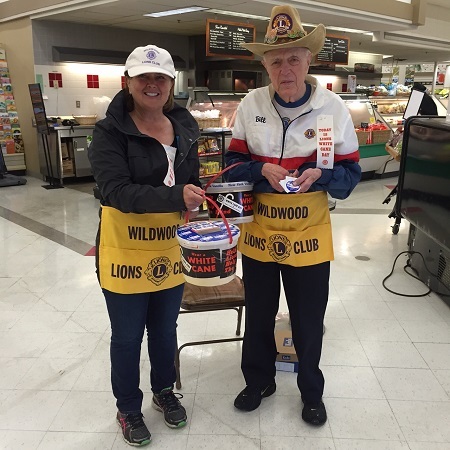 Wildwood Lions Club and Lions District 5M6 (3 counties) Peace Poster winner for 2015. 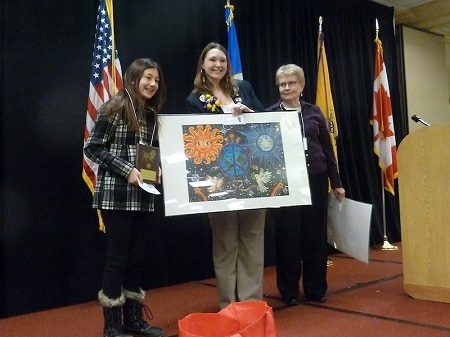 Pictured left to right Sarina Charpentier, District Governor Lion Jenn Bierma & Contest Chair Lion Carolyn Gronquist. 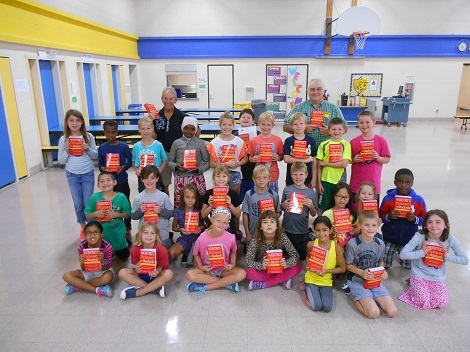 Pictured with their dictionaries are third graders in Mrs. Gerver's class at O. H. Anderson School in Mahtomedi. 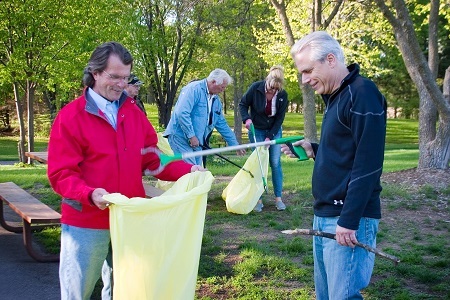 Lions Steve Strusinski (left) and Jim Schuster (right) presented the dictionaries on behalf of the Wildwood Lions Club. 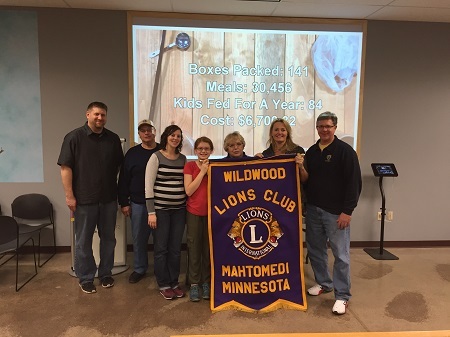 Helping at the Dec. 13, 2014 Lions District Service Project for Feed My Starving Children in Eagan, MN were Lions Kevin Tocko, wife Amanda, Hannah Bruentrup and grandparents Raydelle & Lion Bill Bruentrup, Pres. Dr. Amanda Kelsey, and Lion Kyle Anderson. 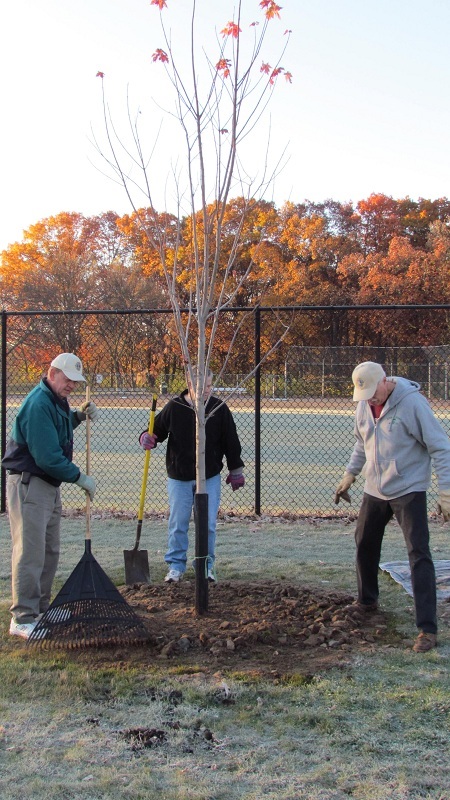 Each of four trees planted in Wildwood Park by the Wildwood Lions Club is initially about ten feet high.